Honestly....I have a love/hate thing for plaid. I used to wear them all the time in high school, but for comfort, warmth, and the 'coolness' factor. I also only like certain colors/thickness, thinness of lines. Pretty much, I'm picky about the type of plaid I wear, and how I wear it. I usually don't like reds or anything that looks like a table cloth. like I did here with this strappy bralette, which by the way, I TOTALLY recommend. Ah, plaid! Such a classic. 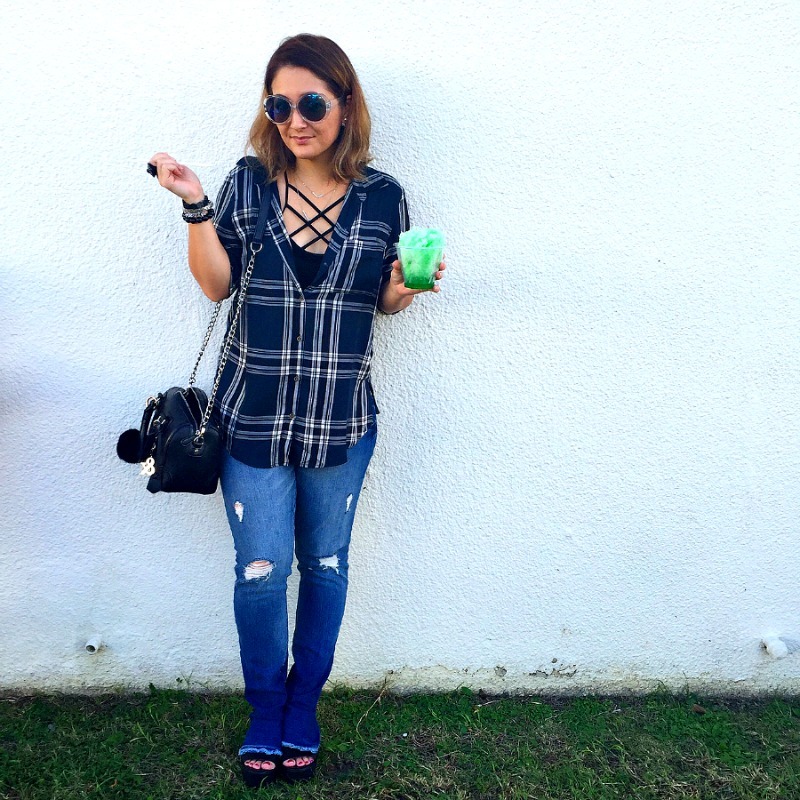 Love your plaid print and how you styled this look!